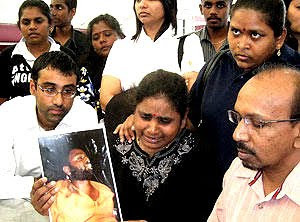 KUALA LUMPUR, Sept 26 — Eight months after the death of A. Kugan, his mother N. Indra and two lawyers today tried to send a memorandum to Istana Negara to seek the intervention of the palace. 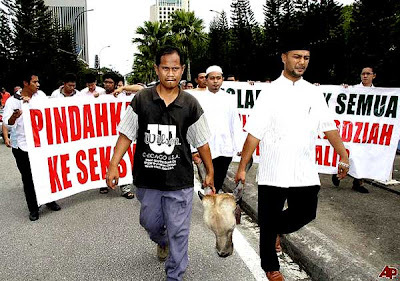 Indra who was accompanied by about 20 supporters gathered in front of Istana Negara at 11am. The group spent about 30 minutes before they were dispersed by police. They failed to send the memorandum to Istana Negara. Later, Indra told reporters that the memorandum was to seek justice for the death of Kugan as there were no developments on the case. She urged the government to give Kugan’s case the same treatment as that accorded to the case of Teoh Beng Hock, what with the coming Deepavali. Meanwhile, Brickfields police chief ACP Wan Abdul Bari Wan Abdul Khalid said police managed to disperse the gathering without any untoward incidents. “No arrests were made. Police were on duty in front of Istana Negara to prevent incidents as the group comprised Hindraf members and politicians. “The public should respect the residence of the Yang di-Pertuan Agong and the laws of the country,” he said when contacted today. SEMENYIH, Oct 10 – The Teoh family had spent all of yesterday cooking up a storm for their younger son and brother and the fruits of their labour were clearly seen this morning when they visited his newly completed “home” at the Nirvana Memorial Garden here, 100 days after his funeral. The terraced lawns were trim and green. A wide pebbled path led the way to Teoh Beng Hock’s final address at Lot SB98 NVB, which would command a breathtaking view if not for the haze blurring the horizon. A veritable feast was laid out before the young man, who would be forever 30. It would take him a while to go through the entire meal, as noted later when elder brother Meng Kee, 33, checked to see if Teoh had “eaten” his fill. Using two coins, he threw them to the ground. According to Chinese custom, if both coins show the same face upon landing, the deceased is still indulging in the meal. It took Meng Kee several tries before his baby brother appeared satisfied. Among his favourite food: roast pork belly, Hainanese steamed chicken, thin-skinned mooncakes, green bean biscuits, balls of fried chicken, swiss rolls, mangoes, apples and oranges. A cauldron of curry fought with a pot of fried beehoon for the place of honour in front of his polished marble tombstone bearing his smiling portrait and the sum of his history etched in gold. Under the celebratory red ribbon tied to his gravestone, were words in Chinese calligraphy. Teoh Beng Hock, born 1979, died 2009. His ancestry was traced to the Eng Choon clan in China’s Fujian province. Unlike western tombstones with their flowery eulogies, the only hint of sentimentality set in stone mentioned the young political secretary’s “lovely wife” without spelling her name. A Taoist priest dressed in a satiny black robe with a golden lotus flower perched on a black cap signalled for the family to step in front of the grave while he performed the ritual to “bless” Teoh’s last home. 3. From Paris to Bagan Pinang, Altantuya story retold... Najib's fleeting visit to France has quickly revived speculation on the Altantuya murder, again. Batu MP Tian Chua and Selayang MP William Leong were in Paris to coincide with the premier's visit. Chua rushed to Bagan Pinang hours after arriving at KLIA yesterday evening. He told the crowd at a ceramah, "The French press didn't ask about our political system or opportunities for their investors. 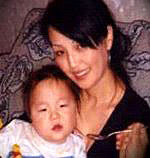 They only want to know about what has happened to the Altantuya case." Voters of Bagan Pinang, don't be cowed by Umno's samseng tactics! 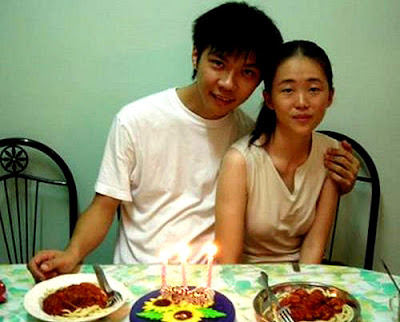 2) Teoh inquest is not completed. Who knows if the outcome proved that TBH has commited suicide. 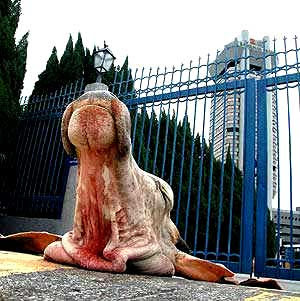 4) The cow-head case already in court proceeding. This means BN can maintain the rule of law. 5) Kg Buah Pala demolished by PR government. 6) Beer ban in Selangor by PR government. Landslide win for BN and people have rejected PR. Keep these nonsense to yourself. 1. Yes, justice for a car thief. 2. Justice for stealing the rakyat allocation. PAS, dun create more ripples in the PR states & without the non-muslim votes ....u akan dihapus , tau !! majority !!?? it's NOT becoz of dat corruptor or postal votes BUT the non-muslims r fedup with your members like hassan ali & others EXCEPT mb Nizar !! Thank You, Charlie Veitch & Danny Shine!